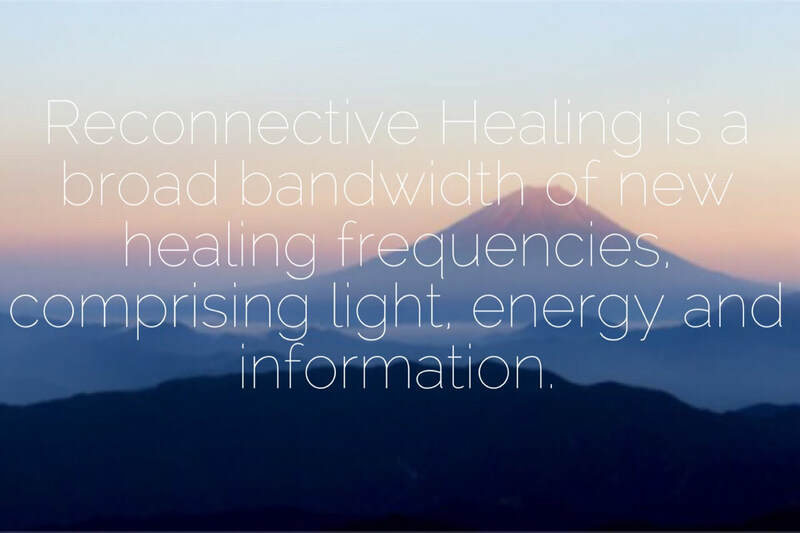 Reconnective Healing frequencies are a broad spectrum of healing energies which, through a process of entrainment, are made available to the client. Through the rapid transfer of energy, light and information they create an environment in which anything that is out of alignment with the expression of our true essence may disappear effortlessly, leaving the path open towards a clearer vision and optimum health. The process of entrainment is one in which different rhythms or frequencies spontaneously synchronize. This can be seen with swinging pendulums, or the way a note plucked on the chord of a musical instrument can set off the same note on a different instrument without it being touched. In the same way healing frequencies can be transferred without physical contact, causing the re-alignments necessary for a return to innate balance. On an energetic level, the universe is composed of vibrations- frequencies carrying information which then manifest as physical matter. Therefore in a linear view of reality, energy precedes matter. In spiritual understanding, thought or consciousness also precedes both the energy and the matter. From a non-linear perspective, all levels exist simultaneously in a quantum state. Spontaneous physical healings may seem miraculous, however these are just the visible effect of a much deeper healing. True healing occurs at the level of spirit and manifests through successive layers of our being, (mental, emotional and physical), where appropriate. During the session you lie down comfortably on your back, fully clothed, and close your eyes. The work is non-contact, however the frequencies are palpable and can be felt in most cases. The session lasts 1 hour, including consultation, 30 minute healing session and post-session review. You should ideally maintain an attitude of trust and acceptance, remaining open to the idea that you will receive the healing that is most appropriate for you, even if it may not take the form you expect. It is not recommended that you practice meditation, visualization or prayer during the session. Just be aware of what is unfolding for you. 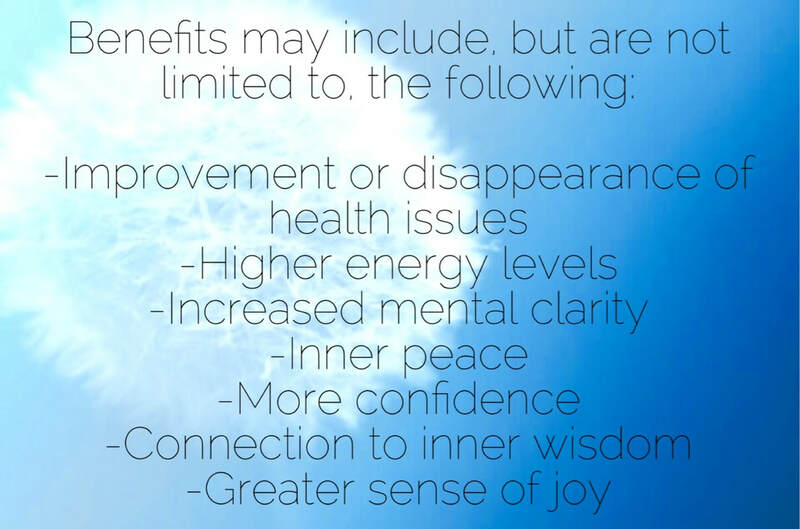 Reconnective Healing doesn’t require any specific beliefs. It has proven to be effective for sceptics as well as people from many different backgrounds and beliefs. Effects can be immediate, but the healing continues after the session has finished and changes may become evident in the following days or weeks. 1-3 sessions are recommended. In certain circumstances further sessions may be scheduled, however Reconnective Healing is not intended as a regular form of treatment. The effects should be long-term or permanent. In 1993 , after 12 years working as a successful chiropractor in Los Angeles, Dr. Eric Pearl found himself questioning many previously held ideas about what causes people to heal after his clients began reporting spontaneous recoveries while he held his hands near them. Working intuitively, Dr. Pearl developed a way of using the energy he was sensing in his hands to heal people from a number of conditions that were considered incurable, such as cancer, epilepsy and chronic fatigue, to name a few. He came to understand that these spontaneous remissions were the result of the balance and harmony brought about by the rapid transfer of energy, light and information, which enabled his clients to return to a state of optimal health and wellbeing. After extensive personal research and collaborations with scientific researchers from the universities of Harvard, Stanford and Yale, he developed and consolidated Reconnective Healing as a universal healing modality, which anyone can benefit from, and anyone can learn how to access and facilitate. He subsequently developed a teaching program and has trained over 100,000 facilitators worldwide, many of whom are now fully independent practitioners of Reconnective Healing and The Reconnection.